Today I want to talk about the importance of memorizing scripture. By that, I mean not just the importance of having your kids memorize scripture, but why YOU should! It’s one of those things we often hear about, but rarely do. We have good intentions, but one or two verses later we simply let it slide. I get it. I’ve been there. I currently have three kids, 3 years of age and under. I’m tired and busy, and sitting down to read my Bible, much less memorize it, is a daunting task! But it’s worth, and today I want to share with you my favorite passage of scripture about meditating and memorizing God’s Word. Solomon is talking about the whole of the Old Testament law. The commands of the mother and father in Proverbs 6 were the words of the Lord passed down from generation to generation. 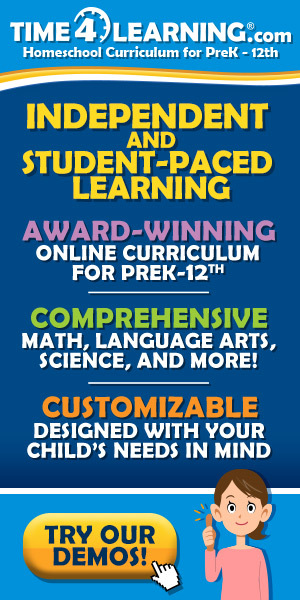 (Deut 6:6-8)It was the wisdom and knowledge that comes from a lifetime of studying, meditating, and following God’s Word. You and I have access to this same Word anytime, anywhere. In addition to the Old Testament, we have the gospel, history, and epistles recorded in the New Testament, and 2 Timothy 3:16 tells us that ALL of it is profitable for believers. These words are important, so what are we to do with them? Simply put: keep them with you. As Moses said in Deuteronomy 6:7, “talk of them when you sit in your home, when you walk by the way, when you lie down and when you rise.” These words of life are to be our way of life. Solomon goes on to outline three ways these words hidden close to our hearts will benefit us. Memorizing scripture will give us clarity of mind. Life is full of confusing and complicated choices. However, if we allow the Word of God to guide our steps we can be sure that we are always headed in the right direction. When we fill our minds with the Word of God, our hearts will follow suit. We will want the things that God wants. We will see people and situations the way that God sees them. The Word of the Lord will keep us when we sleep. The stresses of the day, the uncertainty of the future, it all fades away when I focus my heart and my mind on the Word of God. I am able to rest because I trust the Word of God. I love quoting scripture to myself before bed each night. It’s a way to review my verses and to unwind from a busy and sometimes stressful day. And if I’m having trouble sleeping, I simply start reciting the verses I’ve committed to memory and allow the comfort of God’s Word to help me rest. The Holy Spirit will speak to us through God’s Word. In fact, this inner conversation with the Lord is the main reason I think everyone should devote time to memorizing scripture. It’s not hearing voices or anything crazy like that. Rather it’s a calm assurance and a gentle reminder. As I walk through Target wanting way more than I can afford, I’m reminded to be content with such things as ye have. When I’m sitting at the breakfast table, dreading the temper tantrums and dirty laundry, I’m reminded this is the day that the Lord has made, we should rejoice and be glad in it. When I wake up late on Sunday morning and suddenly realize someone (me!) forget to put all the clothes in the dryer Saturday night, I’m reminded that we are enter into his gates with thanksgiving and his courts with praise regardless of the fact that no one has clean socks to wear. I can trust that those verses that come to mind aren’t of my own doing, but are truly a gift from the Lord. The Word of the Lord is trustworthy, and as long as I am studying and praying, God will use His words hidden in my heart to guide me and give me comfort and wisdom. 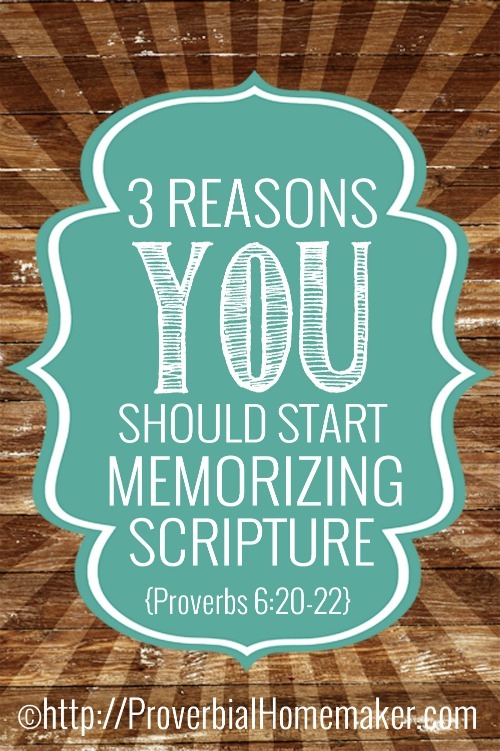 Want to start memorizing scripture? 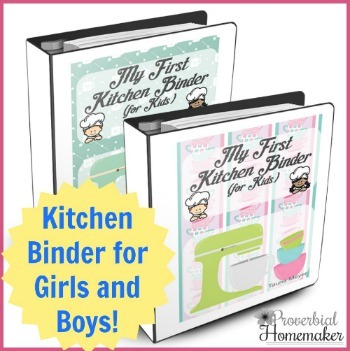 Proverbial Homemaker has the tools you need! 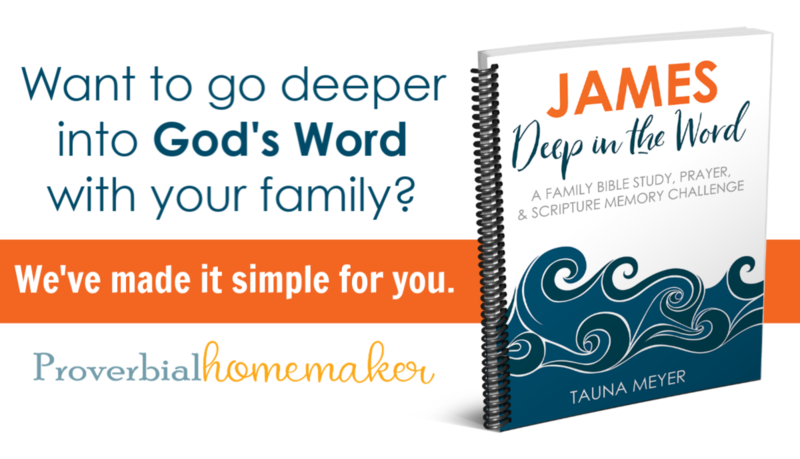 Use our scripture memory and Bible study tools, such as our James Scripture Challenge, to help you and your family go deeper in the Word while hiding it in your heart! 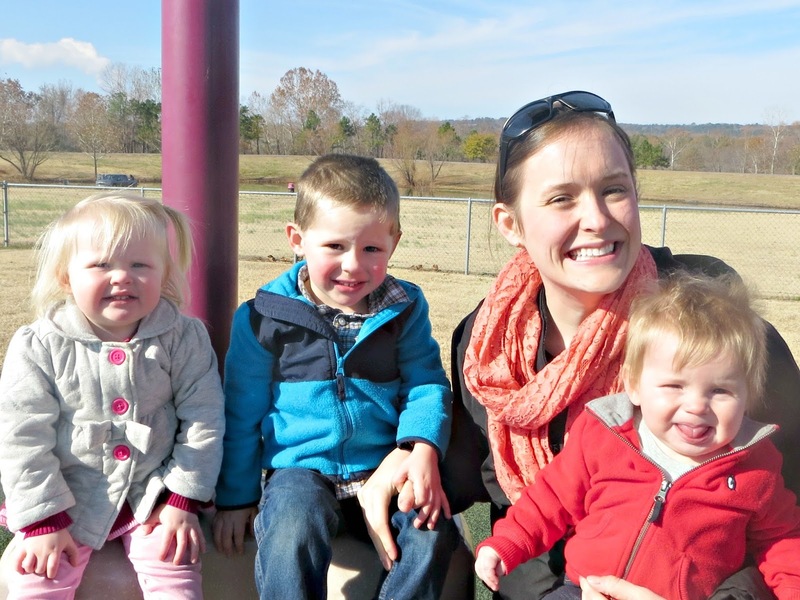 Katherine is a full-time wife and mom who blogs between loads of laundry and dirty dishes. She and her husband Evan have been blessed with three small children and lots of dirty diapers! She enjoys a good card game, cooking real food, and homemade ice cream (with dark chocolate!). You can find Katherine at Proverbs and Pacifiers where she writes about parenting, marriage, babies and most importantly, the Gospel. What a great article! 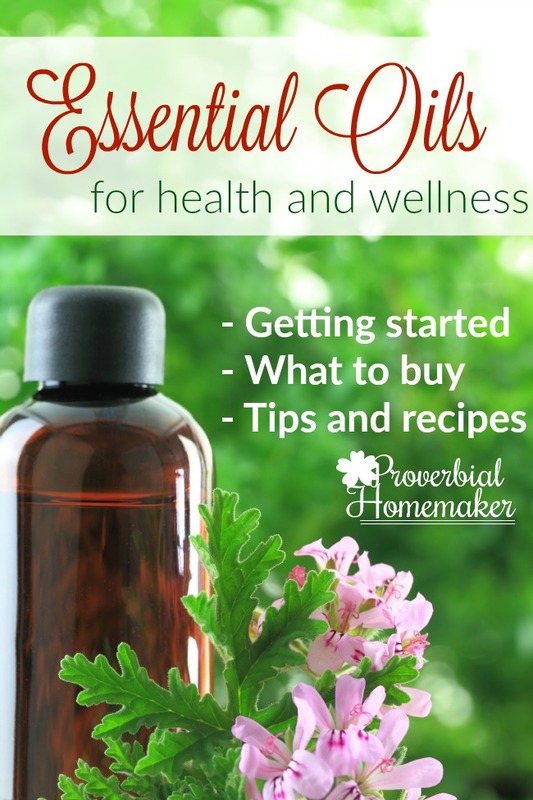 I followed the link to her blog and had to snoop around a bit there. I am so glad you posted this, so I am introduced to another (true) Christian blogger! Thank you!